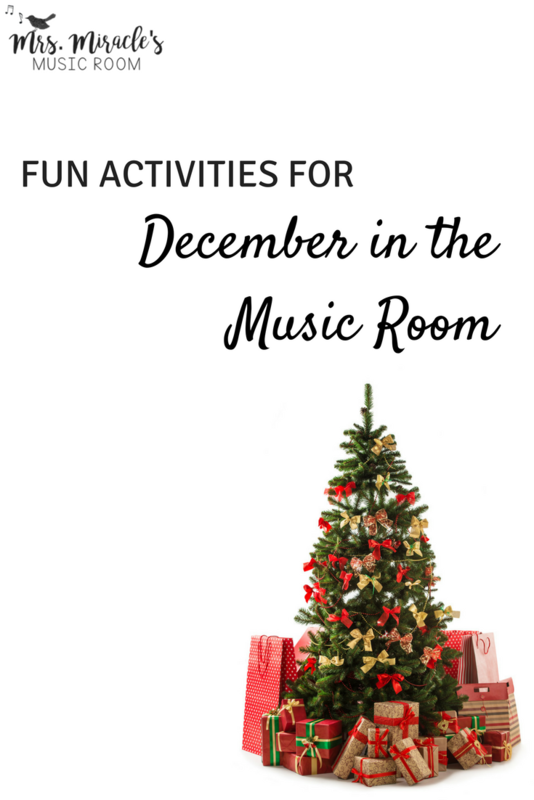 With December upon us, today I'm teaming up with Amy Abbott to blog about my favorite December activities for the music room! 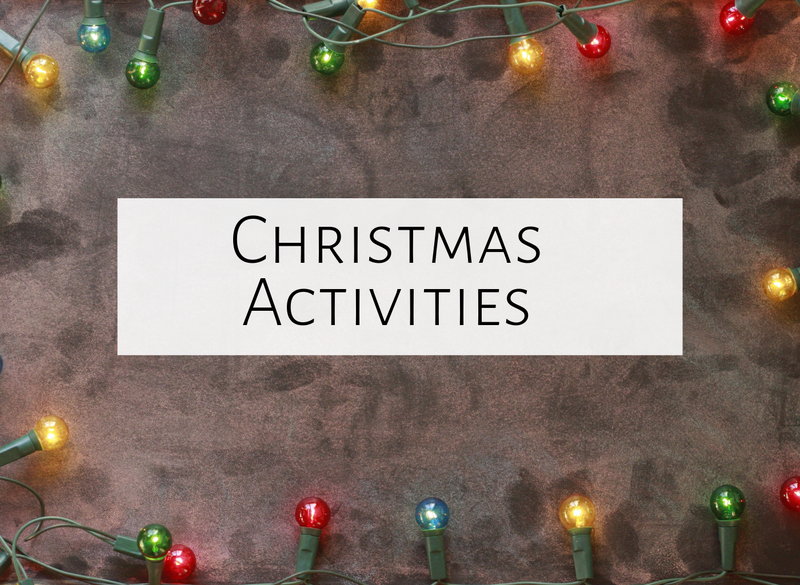 Whether you simply sing through your favorite carols in your room or have a school-wide singalong, it is SO fun to sing holiday songs with your students! If you're looking for more information on directing a singalong, check out this blog post. #3: Play dreidel After singing my absolute favorite Hanukkah song "When oh when," I love to play dreidel with my students! I bought a dreidel at Target and then play with candy. Great way to teach about another holiday while having lots of fun! 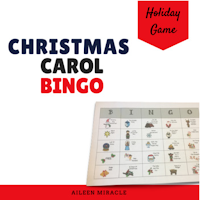 #4: Christmas Carol Bingo If you feel like all your kids want to do is listen to Christmas music, this set is a super fun way to let them do that while improving their listening skills! Since it's December, I love having students listen to music like the "Nutcracker" (for activities for the "Nutcracker," check out this set.) For a simple listening lesson, you could have students listen to "Dance of the Sugar Plum Fairy" and move, with ribbons or scarves, however they think the music sounds. You could also download this freebie by Cori Bloom to have students respond in writing to music. For a fun and easy way to practice rhythmic concepts during December, you could have students read flashcards for rhythms they know with four beats in between each card, to a piece of music, or they could perform a rhythm pattern as an ostinato. For example, students could listen to "Feliz Navidad" while reading rhythm patterns for ta and ti-ti. Here's a set that I just made to help practice ta and ti-ti. 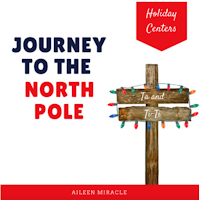 With this set, students choose their center, and try to finish all four centers to get to the North pole first! 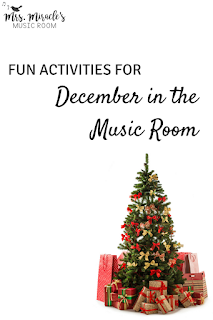 What are your favorite activities for December in the music room? Feel free to comment below, and make sure to head on over to Amy Abbott's blog to read her favorite activities!